Recordings are private and cannot be shared. 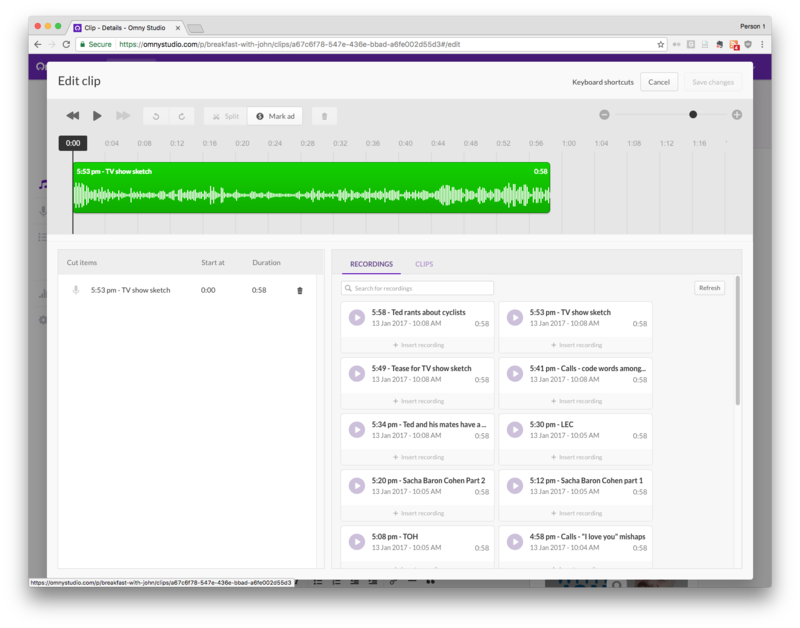 To create a shareable audio file from a recording, you must first turn the recording into a clip. 1) Choose a recording you wish to turn into a clip (this can even be done whilst the Recording is live) and click "make a clip". 2) Click “Make Clip” in the heading and an editor modal will appear. 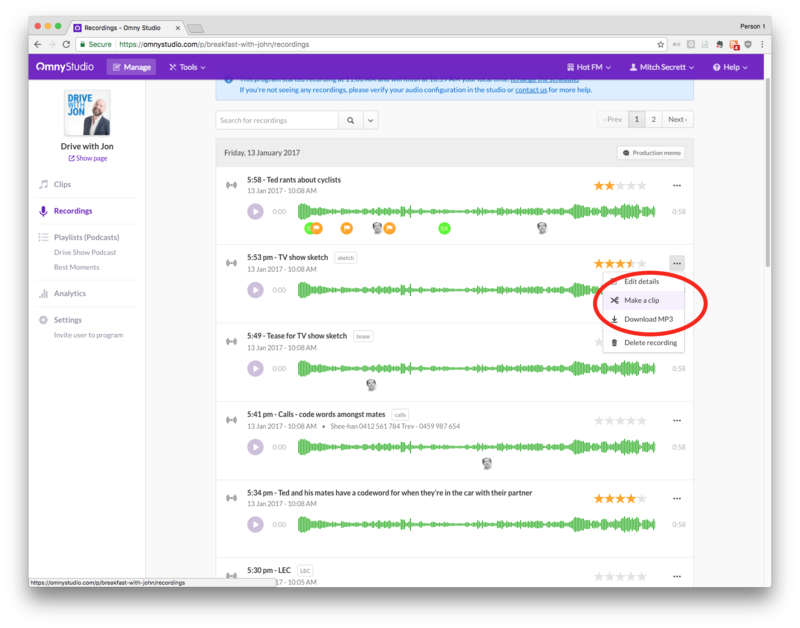 You can split or trim the recording to make the clip more concise. 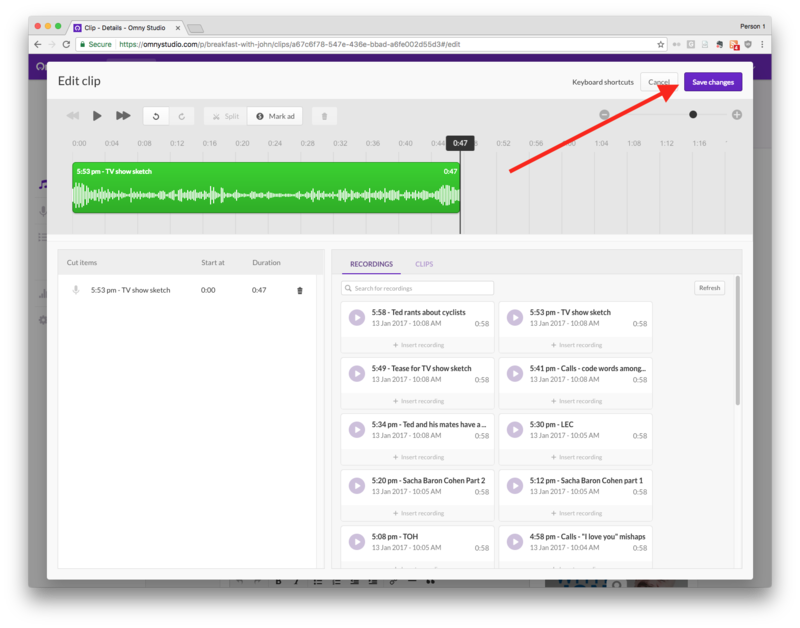 You can also join multiple recordings by adding other recordings to the timeline. 4) When you’re done, click "Save Changes" and you're done! Now you're ready to share your clip online by making your clip public - click here for in-depth instructions.